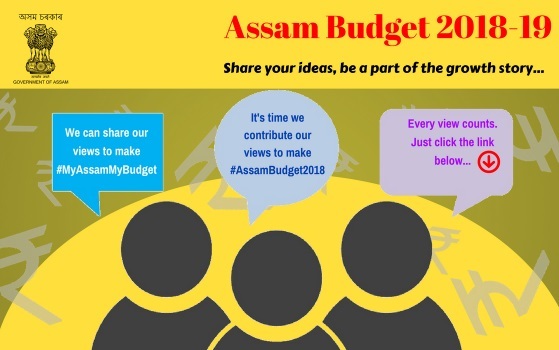 In a first of its kind initiative, the state government is taking feedback of different sections of people at the ground level in order to draw an inclusive state budget. In this regard a meeting was convened by deputy commissioner Narayan Konwar here today in which representatives of farmers, elders, educationist, small tea growers and others participated. The representatives were given sheets of paper with different columns to write down what they thought was required to be changed or needed. Among the representatives were Balin Hazarika and Deepak Sharma, former professors, J B College. Hazarika said that the government should take the aid of retired teachers and other senior citizens with expertise in different areas to help in schools and colleges and in skill development. Sharma, on the other hand sought more funds to strengthen the ASTC bus service, the only state bus service which was losing out to the private bus services. Jogesh Ojha, Senior staff reporter, Agradoot said that the government should take measures to ensure that owners of media houses implemented the Majithia or other wage board recommendations in toto. He also suggested that funds should be provided to establish a multistoried complex in Jorhat in which all government departments are housed instead of being scattered in different places. Ojha further said that the outskirts of Jorhat should be developed in a planned manner. Debojit Boruah, reporter The Telegraph sought a Physical Education College in Jorhat as there were only two, one in Guwahati which was a private one and the other in Dibrugarh University. All tea growers sought easy availability of land documents among others. Farmers wanted women farmers to be given more facilities and security among other demands.